I like to try my hardest to combine Art with what we’re learning about in other subjects. It can sometimes be challenging, and other times not so much. Either way, the kids love making art, so integrating it with other subjects can really help them to remember certain important points. This time around was one of those “not so much” times. 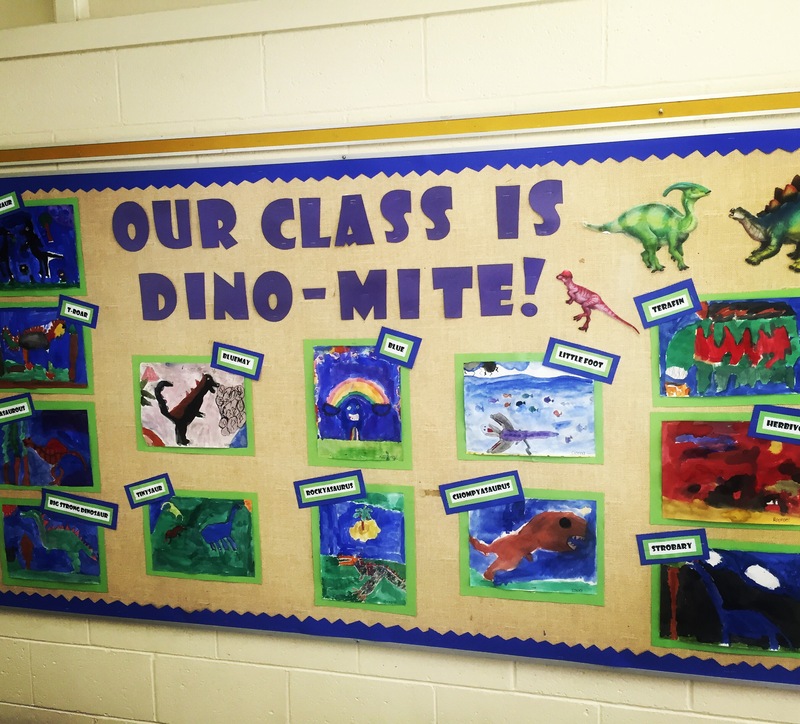 We’re in the midst of our fossil unit and my students are loving all things dinosaur related. 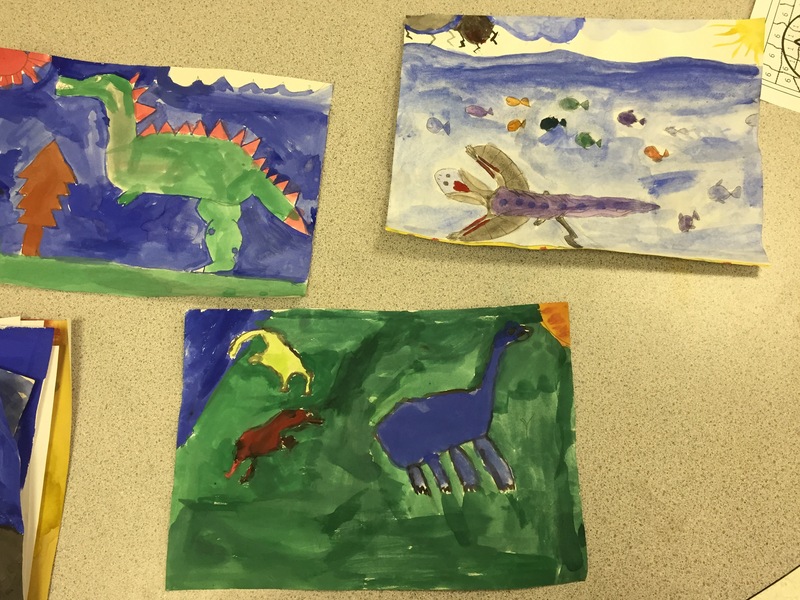 So, I decided I would combine Art and Social Studies and have the kids create their own dinosaurs! 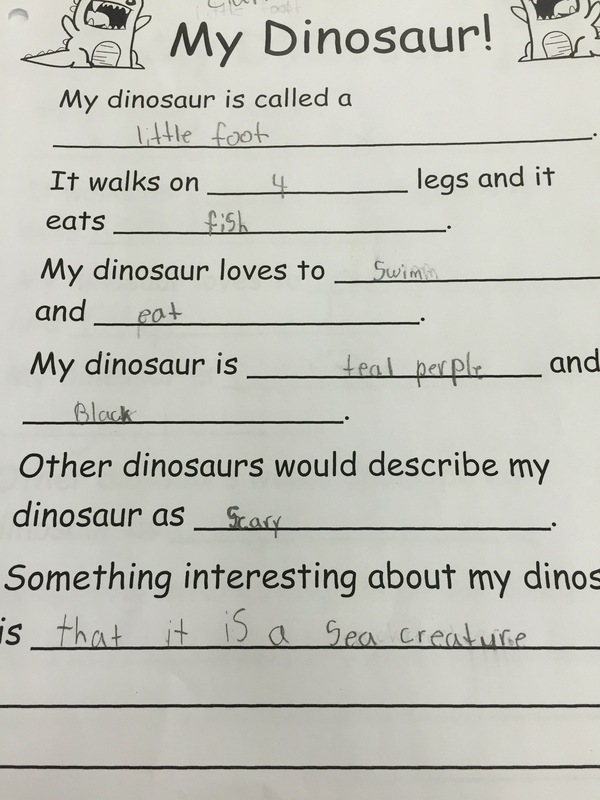 First, I had them do a fill-in-the-blank write-up which described their dinosaur. Then, the kids sketched their creations and painted them. The end results were all really great! Especially considering how difficult it can be for kids to paint. Now we have a brand new bulletin board! I love getting to look at a brand new, super cute bulletin board!